There is countless information floating around these days about how you can improve your email marketing efforts in the New Year (see: 2017 Email Marketing Tips To Improve Your Email End Game and 2017 State of Email: Trends and Predictions). However, sometimes it can be hard to know how or where to get started. Much like setting New Year’s resolutions, it’s much easier to set smaller, more manageable goals than large lofty ones. 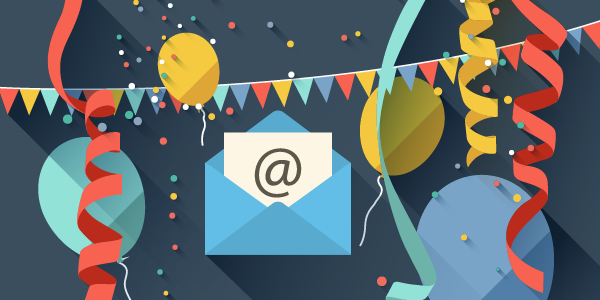 Here are three simple email resolutions that will make a big difference in your email marketing strategy and are relatively painless to put into practice. With a few tweaks and adjustments, you can take your email program to the next level for 2017. This is a relatively simple step that makes a huge difference in how ISPs treat your mail. The idea is to create a line of defense against fraudulent email like phishing and spoofing. Increasing your recipients’ trust in the content of your mail not only increases deliverability rates but also more ensures your audience is receiving your messages. So, follow Kate’s recommendations and steps to make sure you’re authenticating properly. And remember, SPF authentication is only one piece to the puzzle. It’s best paired with other anti-fraud techniques. Email recipients expect not only content that’s relevant to them, and sent at the right time, but also content that looks great and is designed well. In this post, Dave walks you through CSS inlining. CSS inlining affects how your HTML emails render in many email clients, thus a big factor in your recipients’ experience. This practical how-to post will walk you through enabling CSS inlining with SparkPost in an easy step-by-step format. Need even more motivation to stick to your email resolutions? We’ll be launching our annual Sparky Awards program in January, which recognizes outstanding efforts in email marketing throughout the industry. Would you like to be notified when nominations open? Sign up here and we’ll notify you when submissions are open! What are your goals and email resolutions for the New Year?